Hello! We live in a beautiful semi rural village surrounded by the Andes, just 30 mins from the hustle and bustle of the vibrant city La Paz. We have been recieving workawayers for over 4 years and for us and the people that come to be a part of our extended family, it has been a wonderful experience. We only accept volunteers who can stay for 4 weeks or more - this is because volunteers live as part of our family and our community and is not easy for us to have a quick turn-over of people. This is the place if you want to experience the real Bolivia and get a true sense community. The area is characterised not only by the stunning natural surroundings but also a blossoming eco cultural tourist circuit. There is great trekking, mountain biking, horse back riding nearby as well as a very vibrant cultural agenda. My family and I have been involved in community projects for many years and we run an international volunter programme in our community and we have a new camping ground on the beautiful mountain side where we live. We are a busy household and often have several international volunteers living in the grounds of our family home whilst they spend 1-3 months working on local projects. It is a very sociable and stimulating environment to share with so many committed people and we often have shared meals or cultural events which workawayers are welcome to join. 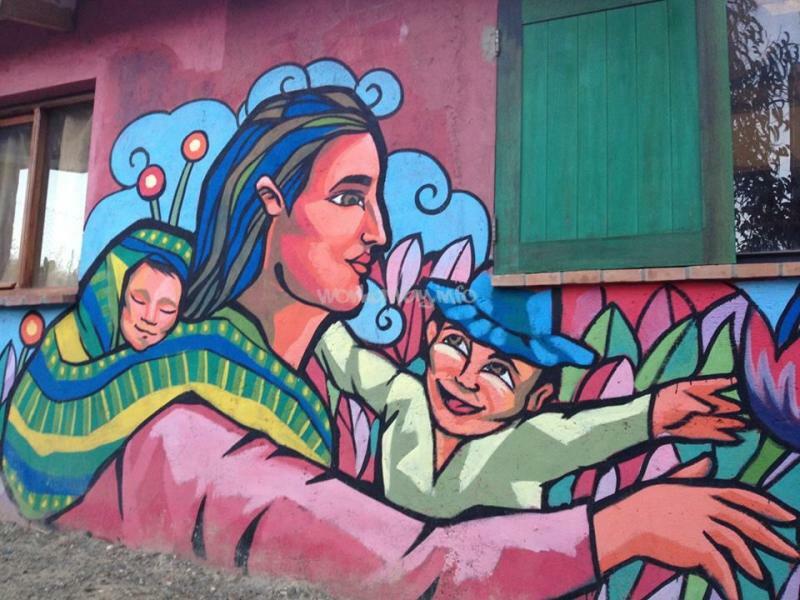 We live in a very friendly village on the outskirts of La Paz. You will get a true sense of community and belonging during the time you stay with us. In May 2014 we openned our camp site, thanks to the creativity and contribution of may workawayers who we have recieved over the past 2 years. It is build on the mountainside just below our home and has used ecological construction techniques (green roof, solar panels, wine bottle windows, recycled irrigation systems etc). Terms: 5 days a week. 2 days Free. Hours: 4 days: half-day shift (breakfast and lunch provided). 1 day: a double shift (breakfast, lunch, dinner provided). The shifts may vary from day to day. Meals: See above - we provide meals on the days that you work. There are several cheap local shops for groceries in the village as well as great local restaurants where you can enjoy a tasty meal for under USD$5. 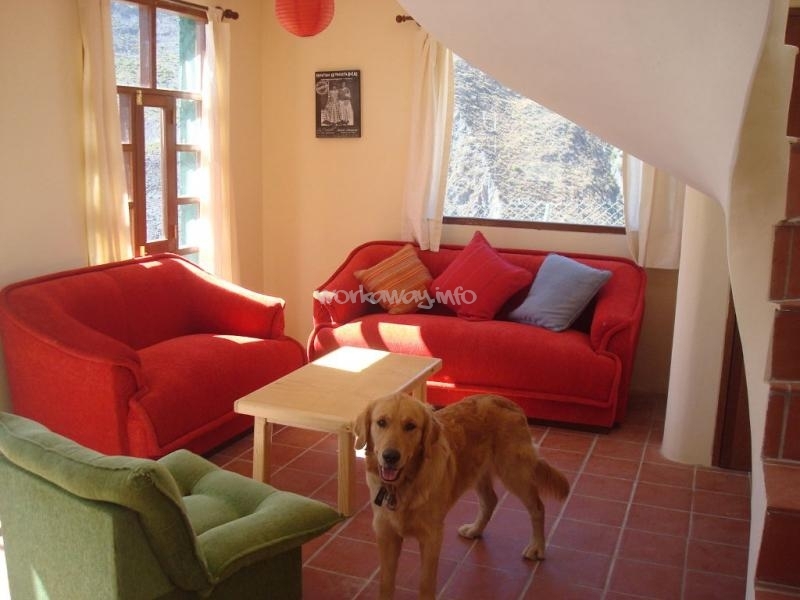 We offer comfortable independent self catering accommodation on our land with access to kitchen and bathroom, hot water 24hrs, wifi, cable tv, comfy beds and feather duvets, hammocks and probably the best and most unspoilt views in La Paz and the mountains. As the workawayers share living space with our other volunteers we need people who can are excellent at communal living and can respect the space of other people. This means that workawayers must abide by house rules and contribute to maintaining very high levels of cleanliness and hygiene. We cook for many people each day and it is difficult for us to cater for vegetarians and vegans - sorry! We ask all potential workaway volunteers to send us their CV and 2 references that we can contact by email before we can confirm the work exchange. Time Commitment: ideally 1 to 3 months. We have 3 friendly dogs. volunteer accommodation in converted pigsty!!! When I think about our time at the village, few words come to mind immediately : excellent, warm, welcoming, fabolous, giant hummingbirds, friendly and comfortable. Those are just but a few, ' cause there's so much to be said about this place, the owners and the stuff. We came as strangers yet, we've been treated as family. We"ve come famished and… read more exhausted and first things first we were offered beds and a lunch. Emma and Senor Rolando have created a wonderful place and if houses can take after their owners, so has colibrí camping acquired this soothing atmosphere. As far as the working conditions goes, it couldn't be better. As far as housing conditions goes, I don't think we've had it better during our year long trip. If you happen to get accepted by the owners to come join their family, consider yourself lucky! Grażyna and Walter, are warm hearted, hard working, funny, bright, clever, creative volunteers and great company. 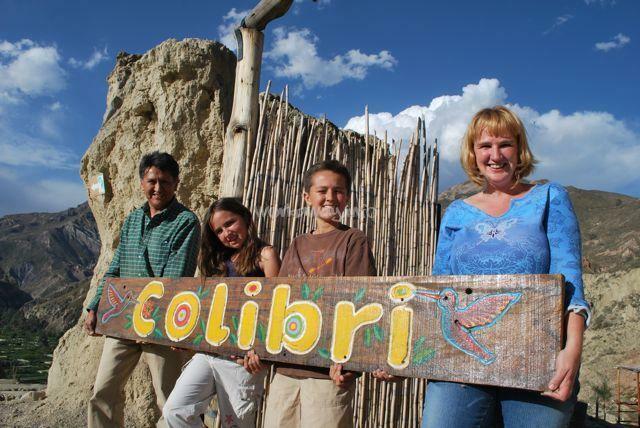 We loved haing them stay at Colibri and they were loved by my family, our team and the guests. They were open minded and open hearted to try everything and we really appreciated their flexibility and can do attitude. I would 100%… read more recommend them to other hosts. If they apply to work with you - Jump at the opportunity. They are amazing! I had an amazing time at Rolando, Emma, Bell and David's! They're all great company and very helpfull. I spend about a month at this place back in april, and it was amazing. The work wasn't very challenging, but it was such an experience to be part of the local society in Jupapina. I learned a lot of spanish from the most amazing co-workers:… read more Marcelo, Clara and Mariana. Besides from that, I learned a lot about the culture of Aymara and Pachamama, from especially Mariana. What's really great about this place, is that you live with a lot of different voulenteers from all over the world, while you're getting really close to the bolivian way of living. I must say, it's been the greatest cultural exchange from my trip to South America! Which is also why, Bolivia was my favourite country (so far)! Thank you for an amazing stay! I always think of you guys when I look at my alpaca that Emma and Vary gave to me as a goodbye gift. It means so much to me and is the best souvenir I have from South America. I hope you're all doing well. Say hello to Vary, Mariana, Marcelo, Sergio and Clara! I miss them a lot! A fantastic dynamic couple who were cherished and appreciated by our team of local staff and all the visitors that encountered them during their stay with us. They were always willing to help and contribute creative ideas. Virginie inspired us to start making home made soap, sharing her skills and enthusiasm with all of us. Mikael is a kind,… read more smiling. collaborative guy and really contributes to a warm working atmospher. I have only good things to say about both of them and we wished they could have stayed for longer. Due to an unexpected event I had to travel and was not able to say goodbye and thank you properly but, I want to express here how much we appreciate both of them and to wish them well in their futre journey. We HIGHLY recommend both these wonderful people to other hosts. They are Fantastique!!!! A beautiful family who are an inspration to all that they encounter in their quest to live and learn more about the Sustainable Development Goals and travel with meaning and teach their children. Inga supported us by taking beautiful, sensitive photos of the community projects that we support and with the support of Ivo they made wonderful videos… read more too. Ivo is magic with IT and fixed our slooooowwww internet system - which we never thought possible - but he did it! We felt very priviledged to have such skilled and experienced people on hand to help us. They are a simply beautiful family, we really enjoyed their company, their conversation and we were so very sad to say goodbye, but we are excited to follow their adventures and we whole heartedly recommend them to future hosts. Je suis resté un mois au Camping, ce fut tout bonnement merveilleux. Le site est magnifique, et toute l’equipe du camping ( les propriétaires Emma et Rolando, les employés Mariana, Clara, Marcelo, Vari d’UpCloseBolivia...) m’a réservé un accueil chaleureux et amical. Les tâches sont intéressantes, j’ai surtout apprécié le contact avec les… read more voyageurs de passage, issus de tous les horizons ! Par ailleurs les conditions d’hebergement sont vraiment idéales, et les nombreux moments de partage avec les autres volontaires et l’equipe de Colibri m’ont vraiment donné le sentiment d’appartenir à cette grande famille. Le Camping Colibri est définitivement LE volontariat idéal, parce qu’il accueille ses volontaires dans un esprit de partage et de convivialité. A wonderful volunteer. Kind, gentle and so hardworking. Axel is appreciated by all our family and our team. He is always willing to help with a smile. Thank you Axel. We are delighted you came to be part of the family. We are going to miss you very much. Such a lovely high energy fun couple. Michelle was full of ideas and creativity which really strengthen our volunteer programme, creating manuals and always looking for opportunities to give us very welcome input! We love having them as part of our family. Happy Times around the campfire, learning to line dance and sharing special times. We miss… read more you guys and wish you all the best. A lovely kind couple with a fabulous energy. We feel enriched by the month they came to stay with our family. They are so creative and full of good ideas. They made a beautiful video of the Eco Lodge which we love. The other volunteers and all our family loved them as did the local kids in the social projects they supported in our community. They… read more were such fun! We miss them and would 100 % recommend this gorgeous couple. My husband and I had a wonderful experience helping at this beautiful campground! The staff were all very friendly and patient with our limited Spanish. It was wonderful to live in such a beautiful part of Bolivia for a month surrounded by mountains! The property is very close to the city with easy access via public transportation, but we never… read more really wanted to leave because it was so peaceful. This is a very special place and it will hold a place in our hearts forever! Muchas gracias por todos!! We had the most amazing six weeks here!!! Emma, Rolando and family welcomed us into their home with open arms. We enjoyed the structure of the work and liked knowing our working hours and days off in advance (other workaways weren't this organised!) We really liked the varied work in the campsite and Eco-Lodge especially greeting the guests and… read more sharing travel stories. We would spend our days preparing guests' breakfasts, making beds in the teepees, gardening and generally getting stuck in where needed. Everyone who comes is blown away by the views and the feeling of community that Emma and Rolando have created. We would have happily stayed much longer if we could. Our accommodation was a cosy, fully equipped home, such luxury! There were always other volunteers around and we enjoyed lots of shared meals, day trips and campfires together. This is a really special place and we were very sad to leave! It has a great combination of being a relaxing place to spend time swinging in a hammock reading a book to the hustle and bustle of La Paz being only a short (very cheap!) bus ride away! We would definitely recommend this place to anyone and hope that we'll be back to visit someday in the future! Gemma and Scott are a brilliant couple and fabulous workawayers. They stayed with us 6 weeks and we only wish it could have been for longer! They were wonderful and very much appreciative members of our team, getting on so well with our local staff and our guests which really contributed to a warm and friendly atmosphere at all times. They are… read more funny and entertaining and really good company. They are eager to try out new things and flexible which is really appreciated and we got a real sense that they cared about our project as we do and they put their heart into their work. It was lovely to see them settle in as make themselves at home in their little house and they soon became part of our community. They will be sorely missed by our family, our staff and everyone in the village of Jupapina whihc i hope they will see as a home away form home and come back and see us one day in the future. Thank you Gemma and Scott for all your hard work, your ideas and your enthusiasm. We appreciate you both so much and we are really really thankful for everything. We miss you! It's almost a year since my workaway with this place and I still feel so much gratitude to have been part of such an inspiring, kind team and learnt so much about making a community thrive. Thank you for the unforgettable experience! Melissa was a fabulous workawayer. So willing and helpful, always with a big smile on her face and ready to put in the extra effort. nothing was every too much trouble for her and we really appreciated her positive calm energy. She was especially loved by our local staff for her gentle nature and kindness, they continue to remember her with… read more affection and miss her several months after she has left us. She was also greatly appreciated by our guests hwo left kind reviews about our camping site and about her too that made a real difference to thier stay. She was a real asset in every sense and we can not recommend her enough. We are incredibly grateful for everything she contributed. Thank you Melissa. You are wonderful! She was only going to stay for 2 weeks - but we fell in love with Holly! The whole family - even the dogs! She ended up staying for 7 weeks and it was still heartbreaking the day we had to say goodbye - like losing a member of our family. We did not want to let her go. Holly is fabulous! A true joy to be around. Boundless energy, constant smiles,… read more full of creative ideas, open to new opportunities and projects, flexible, amazing team worker, full of initiativeand adventure and a really really hard worker. She built us a great new composting system, designed a new filter to trap the grease in our water recycling tanks, tutored English as well as attending to our guests at collibri camping and eco-lodge and contributing to a very happy environment for gustes and team alike. She is the ideal workawayer and we cannot recommend Holly highly enough. We only hope our paths cross again. We miss her and will always remember her with a big and very appreciative smile on our faces. Thank you Thank you Holly! This was our first work-away and we couldn't have asked for better hosts than Emma and Rolando, they welcomed us with open arms and we really felt part of the family the moment we arrived. You won't find anyone who will look after you better, from the welcoming feel to the 5*️ accommodation and delicious family meals. The work was a joy, and the… read more customers made it even better, we met so many interesting people and had such a fun time throughout our stay. Muchas gracias Emma, Rolando for a fantastic experience and we wish you the best for the future! Also a big thanks to David, Belle, Marcelo, Mariana, Phoebe, and all of the wonderful people we met! Niall and Carmen are Brilliant people! If they apply to volunteer with you, do not hesitate. They are The Dream Team. It was an absoluter pleasure to have Niall and Carmen join our family over Christmas and New year, a particularly busy time but they took it all in their stride and contributed to a festive and happy atmosphere for everyone who… read more came to share the holiday season with us. Both of them are such hard workers and they bring creative ideas and positive energy to our team. They will be really missed all the team and our family especially by our kids and even our pets too! I want to say a special thank you for their kindness and patience to Lucy during their stay, it really was appreciated and shows what good souls you both are. We cannot recommend Niall and Carmen highly enough, we trusted them completely - they gave us the confidence to even take a short break ourselves as a family and they worked fantastically with our local staff to keep things running perfectly whilst we were away. A massive Muchas Gracias to both of you. Wishing you all the best in your future travles and vlogging and cocktailing mixing. Les queremos mucho. Verena is a beautiful person and a wonderful volunteer, always smiling, always full of ideas and a great memeber of our team. She is kind and funny and a really hadr worker. We wish she could stay for longer! It will be hard to let her go. An excellent kind warm good person. Drew was an amazing volunteer and a fantastic person to have around. he made the most of every opportunity to be in Bolivia and we loved seeing him fall in love with all that this country has to offer. He worked really hard and was an excellent memeber of the team, enthusiastic, creative and kind. All our family… read more enjoyed his company and we really missed him when he left. We are happy that he chose us to come and volunteer with and we hope that our paths corss again one day in the future. Tahnks Drew. We wish you well always. Ramon is a computer wizard and helped us update our web page. He is kind, patient and good humoured and we all enjoyed having him as part of our team. he is a really hard worker and always worked with a smile and enthusiasm. He got on really well with all our other volunteers and our local staff and became a very valued member of our team. We wish… read more him well in his travels and we recommend him 100% to nay future workaway hosts. He is great! Than you Ramon for everything! her energy and enthusiasm is contagious. It was like therapy having her around the place. She has so much positive energy, amazing ideas and love to share. She is a tireless worker, jumps at new opportunities and invests herself in projects with all her heart. She was a complete joy and we were so sorry to see her… read more go. Delighted that she came to be part of our loves and our projects for the 6 weeks she was with us. She will be missed but we hope she will be back one day soon. Couldn`t come more highly recommended. If she applies to work with you - grab her! Jordyn is a a beautiful explorer, teacher, searcher and it has been wonderful to be part of her journey and we have learnt so much from her. She has been an asset to our project, our tea, , our community and our family and we have loved having her stay with us. She has worked with such commitment, always with a smile and lots of ideas. Thank you… read more Jordyn. We highly recomment Jordyn to all workaway hosts. Joe spent the Christmas and new year period with us and truly he feels like a part of the family. It will be hard to say goodbye to him when he leaves tomorrow. Joe is an brilliant volunteer, he has a great attitude and was a fantastic asset to our project during the 4 weeks that he has spent with us. 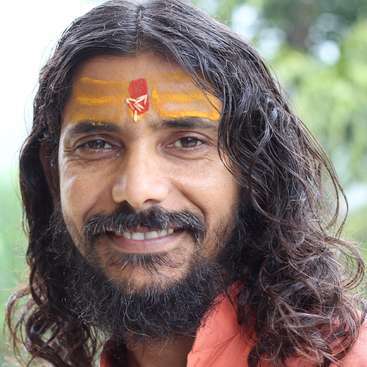 He was flexible taking on new tasks, like… read more teaching English to our staff and shared his skills on web design with patience and commitment. He was appreciated by all the team and esecially my kids who wanted to adopt him! Joe is making the most of everyday of this opportunity to travel around Latin America, open to learn and to contribute everyday. We love his zest for life, his sincerity and his great sense of humour. We cannot recommend him highly enough and wish that he could stay for longer. Thank you Joe. Please come back! You are a star. Luverly Juberly! Pete is a amazing volunteer and we are so very appreciative of all that he contributed to our project, our community and our family. He was loved by everyone. He is a really hard worker and does everything with a smile and positive energy. My family loved having him around and enjoyed his conversation, insights and passion for learning and… read more contributing to the communities that he is travelling through. We recommend Pete completely to any potential workaway hosts. You will be lucky to have him and he will be a true asset to your project. Thank you Pete. We miss you! Know that you have a family in Jupapina waiting for you whenever you come back through Bolivia. Its been wonderful having Danni here. She is such a hard worker and also full of postive energy and smiles. Danni has been helping us with our web design - she has worked dilgently to fulfil the task communicating clearly and with sensitivity to our needs. She is wonderful to have around and has been a real asset to our programme. Thank you Danni.… read more We highly highly reocmmend her to other hosts! This was our first workaway so we have no comparison but I can't imagine a better experience. We were welcomed like family members and treated as such throughout our stay. The work is fun and diverse and if you have ideas you are encouraged to put it into action. Rolando is such a character and his brain never stops working, it's been a privilege… read more to work with him. And Emma has the biggest heart and wants everyone to have a great time and make the most of Bolivia. The accommodation is great, we had our own room and basically our own house! We love this place and everyone that works here, thank you all so much for this wonderful experience and we hope to come back again one day! If you have the chance to host Helene and Alison - JUMP at it! They are amazing! What lovely people, creative, energetic, easygoing and so enthusiastic to contribute and share their skills, ideas and not afraid of hard work. And always with a smile. Nothing is too much trouble for them. They work hard behind the scenes, making bed, preparing… read more breakfasts etc with an eye for detail which is just delightful and are they are also the perfect hosts, welcoming people and ensuring that they have a wonderful stay at. We are so happy that our paths crossed with the wonderful adventurous Alison and Helene and wish them well in the future in their exciting plans to explore the world and make the most of everyday! Thank you to both of you. You will always have a special place in our hearts. After travelling for 4 months, this was the perfect place for us to stop for a while. We were made very welcome by the family and the other staff, I have to give a special mention to Danny who was great to work with and clearly loves his job. The accommodation was more than we could of hoped for, nicer than our little flat in London, and we were… read more always well fed by Anita and Clara. The campsite was the loveliest place to live, we hardly wanted to leave to explore the rest of Bolivia. The tasks, never really felt like hardwork as it was a pleasure to be there with such great people. We would highly recommend this as a workaway, Rolando and Emma are flexible and understanding and we only have good memories of our time there. Lucy and Doug are probably two of our very favourite workawayers EVER! and that`s saying a lot, considering all the amazing people that have come to volunteer with us over the past few years as you will see from the reviews below. They are such hard working, creative, committed people. They both really made a difference to our camp ground. Lucy… read more is the warmest smiley-ist person you can imagine – she made guests feel welcome and at home straight away. She worked hard cleaning and maintaining the campground too being in her experience of working in big youth hostels in London. But most astound was her commitment and experience to marketing – within a month she had increased our rating on social networks and lifted our profile which of course brought in more customers. Doug is a gentle caring soul and also such a hard worker. He helped us in so many aspects from web design, landscaping and building work. Always with a smile and charm. Over and above their contribution to the campsite, they were great company too and we miss them a lot. I cannot recommend this couple highly enough, they inspired such trust that we were able to take a few days break with our family and leave them “in charge” with the rest of the local staff and they did brilliantly. Thank you Lucy and Doug – we wish you all the best and we hope that our life paths cross again in the future. Les queremos mucho! Becca is beautiful! Inside and out! Feed her pizza, make sure she has lots of puppies to cuddle and she will be in her element! Becca loves life and makes the most of every opportunity, including workawaying. She was a wonderful volunteer and she really enriched our small community here with her constant positivity and can-do attitude. We… read more loved having her stay with us and we are so appreciative of all her help. Thank you Becca. We love you! It's so hard to put into words how incredible my experience here was! The family was immediately so welcoming and accepting and the living arrangements far exceeded my expectations. It was lots of hard work, but it was 100% worth it knowing that it was benefitting these lovely people. Emma, Rolando, Bell, David, Lizzy, and the 3 pups were… read more absolutely wonderful and I truly felt like I had a Bolivian family during my stay. I highly highly recommend this workaway! 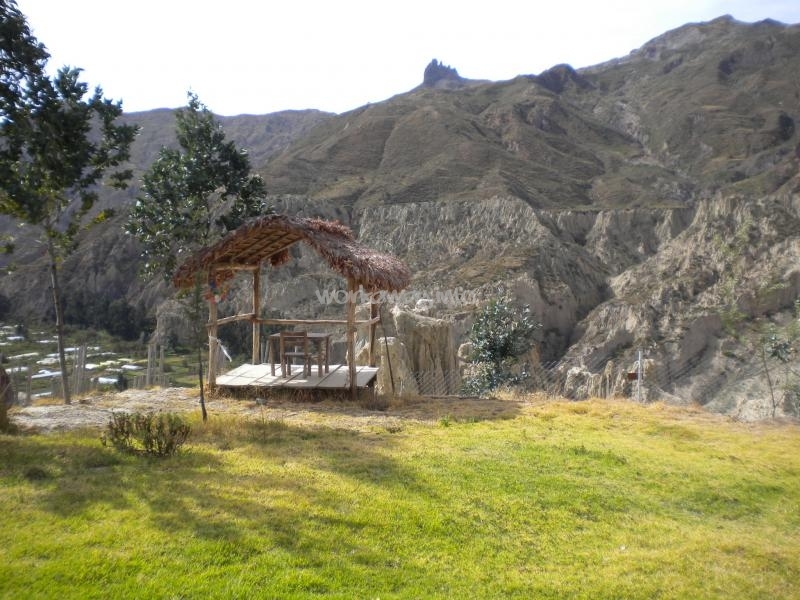 Perfect location to relax, meet other volunteers, and get a true sense of Bolivia! Thank you, again and again, for everything you did for me during my stay. Your family is definitely missed and a highlight of my trip! An excellent workaway placement. Volunteers should expect good, honest, hard work in return for a thoroughly rewarding workaway experience - the setting and scenery was stunning and the accommodation first class. More importantly, the family, their fantastic team of staff and fellow volunteers made us feel right at home from the off. It was a… read more pleasure to spend a couple of weeks here! Pob hwyl a dymuniadau gorau ar gyfer y dyfodol! Gwion and Nia are wonderful volunteers and we highly recommend them. They are great company, good fun, wonderful conversationalists and hard workers. They were only with us 2 weeks or so but they helped us so much with the construction of a new cabin for our campsite. We are very appreciative of them and remeber them both with great cariño. We… read more wish them all the best for their future adventures in Bolivia. Sarah and Sebastian are a wonderful couple. They are creative, generous with their skills and talents and very hard working. Sarah also has a wonderful sense of humour and they are both amazing cooks! We loved having them as part of our family for 2 weeks and we can`t recommend them highly enough! Muchas Gracias Sarah Mariposa and Sebastian. Tom and Jade are amazing, big hearted, giving people. They were only wwith us for a month - but somehow it seemed they were with us a lot longer - becasue when it came ot say good bye, we felt like we were saying goodbye to lifelong friends. In terms of work they were proactive, energetic and had a an eye for detail… read more and did not mind getting their hands dirty either. The perfect workawayers! Jade also dedicated a lot of her time to preparing a 3 day workshop with local women who run the community nursery that we support thorugh our social projects volunteer programme. She shared her skills and knoweldge with the lcoal women, through games, discussion groups and practical exercises. I can't express how much we admire her and appreciate her for this love and dedication she channelled to our community. Not a day goes by that the women in the nursery do not remember her with affection. What a mark she has left on us! Tom and Jade are special people, really down to earth, insightful and lots of fun. If you have the chance to host them as workawayers - grab it with both hands! You and your projects will be enriched by these wonderful people. Thank you so much Jade and Tom. Les queremos mucho! Kyle is a gem. He is very funny and made us laugh - a lot! he was a wonderful addition to our family. He is a great worker too, and got along realy well wiht our local staff. He is very very very tall - and strong - but most of all he has a kind and good heart. We highly recommend Kyle and we are so pleased that our paths crossed in his South… read more American journey. He will alsways be wlecome here. Emma & Rolando have a truly wonderful organization going on under their roof. With a stunning campsite, volunteers from all over the world living there to make a difference in the nearby town, and a loving demeanor, even someone like myself could feel safe. Having very little travel experience I didn't know what I was getting myself into, but it… read more turned into a meaningful and unforgettable experience. From my first night there until my heartfelt goodbyes I felt like I had a Bolivian home. I still do. Every single day I did something new and I have to say some days I was covered in dirt by 10am from a decent amount of yard work and some construction jobs, but the family vibe and the delicious lunches made everything worthwhile. The other volunteers that live there for another organization are amazing people and made my stay even better and being able to volunteer occasionally with them made it truly worthwhile. To my fellow workawayers, you will get your hands dirty, but that's nothing compared to how welcoming the Mendoza family is and how many experiences you can have in a short time here. Simon is a perfect workawayer, charming, friendly, always always ready to help and most importantly of all he does everything with a big smile on his face! How we will miss that laugh of his! We wish he could have stayed for longer. He was an asset to our campsite and the guests and fellow volunteers all loved him. He worked diligently and… read more carefully, completing everything we asked of him really well. He even got roped into being Father Christmas at one of our community celebrations - twice! Simon we wish you well on your journey. We are so happy that our paths crossed and you came here. You are welcome back anytime. Thank you so much. You were Amazing! Amazing! This was my first time as a work awayer and so glad i spent it here. Rolando, Emma, Bell and David were so welcoming, they really make you feel like you are part of the family. Great accommodation, great food, great guests! Thank you guys! George is lovely, willing to learn and to get stuck in. We are so pleased he enjoyed his time with us, we certainly enjoyed his easy manner and ready smile and he was also appreciated by our guests and our other volunteers. Thank you George we wish you well on your travels and you are welcome back any time. From the minute I arrived, it was warm welcomes and a laid back, family atmosphere. Thank you so much for an unforgettable experience. Extremely generous with working hours and the liberties while while working here. Working alongside Rolando, Danny and Clara. I practiced my spanish hugely and learnt so much… read more about Bolivia culture. The Campsite itself is in a beautiful setting and also met an array of interesting travelers i will never forget. A experience rich in textures and layers of culture and surrounded by a warm and friendly glow. Highly recommended!! Eli is a unique and wonderful person, bursting with talent, creativity and ideas. She arrived and changed our lives for the 3 months that she lived with us, by enabling us to see how we can live in a simpler and more connected way to the planet, with the animlas and the world around us. 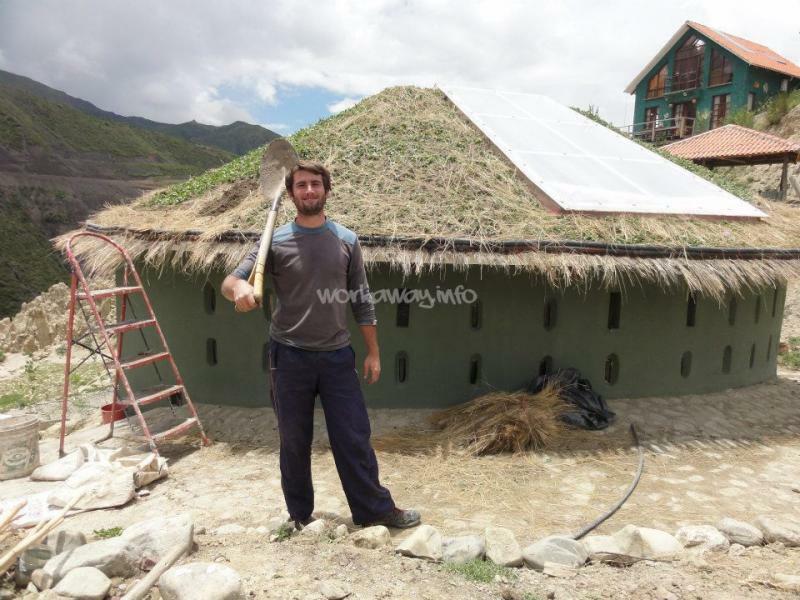 Eli helped us in so many ways, for example by helping us… read more build a wooden yoga room / lounge and deck area, which involved physical effort and carpentry and other building skills. She also helped us with gardenning, receiving guests at the reception, cleaning and preparing our tipis to receive people form all over the world. We loved how kind and welcoming she was to everyone, making them feel instantly a home and taking the time to get to know them and without doubt enriching their stay with us. Eli was also a role model to the other young volunteers that live with us and participate in a volutneer programme that our family run in our community- Eli was always so generous with her skills - organising parties and making what are, without a doubt, the best pizzas, south of Rome! She enriched out family life, treating us to home-cooked banquets from the Czech Republic and just sharing her perspectives and stories of life on the road. She has an amazing blog and is one of the best travel writiers I have encountered. I am in awe of her Spanish and English language skills and her ability to express herself so beautifully in both languages. Eli is a beautiful artist and left us with a gallery of wood-etchings of the birds that can be found in the valley where we live which we have hung in the new house she helped to build - as well as a beautiful portrait of our cat. They will also be a very special memory of her for my family. Eli has rich experieince also working in summer camps with children and left us with ideas about how we could expand and dveelop our campiste in the future too. She is good working in a team and assuming resposnability but can get on and work by herself too without needing instruction. Everything Eli does, she does to the highest of standards. Eli has a very special connection with animals of all types, she loved our dogs, the cat and spent time with the horses in the Equine Therpay Centre on our hillside grooming and taking care of the young horses. I could write pages about Eli! But see for yourself - of you are reading this and looking for a unique and inspiring volutneer - look no further. We can´t recommend her highly enough. Thank you WorkAway for facilitating these amazing encounters for our family with such lovely people who are so committed to sharing their talents. Muchas Gracias Eli, te queremos mucho and you know that you always have a home, a base, a port in South America - you are welcome at any moment. We are waiting for you with open arms. Volunteering here was my first Workaway experience and I could not possibly wish for a better one. I have met so many amazing people there (both volunteers and guests from the campsite), I have learnt so much about Bolivia, its culture and traditions, I have learn a lot about construction and was able to put some of my own creative ideas to… read more practise. This is the most beautiful campsite I have ever been to in my life. The unspoiled breath-taking views of stunning mountains around, fields of flowers with a meandering river in the valley below, the clear unpolluted air that all forms this magical harmonious haven of peace. It is the perfect place to get away from the noise and pollution of La Paz, while still staying conveniently close as well as a great base camp while exploring the beauties of Bolivia. After all it is number 1 on Trip Advisor for a reason and it was great to be a part of that and to celebrate it. It is run by a lovely and incredibly inspiring Bolivian-English couple Rolando & Emma, who both have been for years helping the local community on so many different levels, with assistance of hundreds of volunteers from all over the world, of all ages and all walks of life, with their organisation. They go out of their way to make you feel welcome and a treat you like a part of their family. There are incredibly kind, helpful and generous, doing their best to make your stay pleasant and unforgettable experience. The work is varied from Customer Service, Maintenance, Admin, Marketing to Construction, whatever is needed at the time depending on current projects and priorities. Most of people who come to the Campsite are absolutely delightful which makes your work a real pleasure. It was also so rewarding to build a common/Yoga Room, being part of the project from the very beginning till the end and to see it finished and being used and enjoyed. Volunteer accommodation is absolutely outstanding, comfortable, spacious, clean and well equipped. With WIFI, books, DVD collection, Cable TV, wonderful hot showers and much more. It's nice just to chill at the Camp but there is lot to do around as well. There is easy and cheep connection to La Paz with local buses or you can take a taxi directly from the campsite. 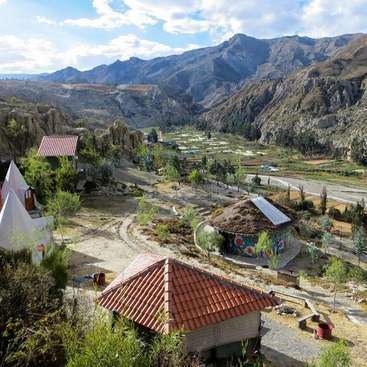 There are traditional Bolivian cooking classes and Spanish lessons available on site. If you feel like you can hike up to Muela del Diablo (Devil's Molar), the rugged peak you have been watching from the campsite - there are many different ways you can do it, you can either hike up, take a taxi or go on horseback, ask at the reception for detailed info pack. 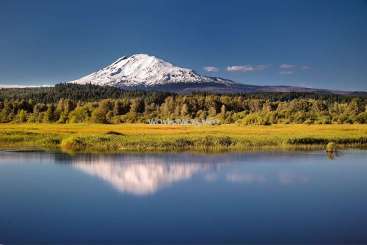 I myself hiked twice there from the campsite and back and loved it! Down below there is valley of the flowers and an Equine Therapy Centre you can go and check out. There is also the beautiful Valle de la Luna (Valley of the Moon) close by and a the La Paz ZOO. What I really appreciated is the flexibility and many opportunities to travel and explore if you give sufficient notice. Rolando and Emma are both wells of knowledge and very helpful not only when it comes to anything you need to know about your Bolivian trip, advises and tips on where you should go and what to do and what to look out for. I highly recommend to discuss your plans with them. They can also help you book the best trips to the Salar de Uyuni, the Jungle and Pampas, Death Road on Bicycle or various buses to wherever you need, as well as tip for great treks and adventures. Depending on your skills and interests is also possible to join some of the Volunteering opportunities with them in your free time, where you can help at the Children Centre, Equine Therapy Centre, Transitory Home for victims of abuse, teaching English or helping at the La Paz ZOO. Well to cut the long story short, this was my favourite place in Bolivia, I feel so grateful for the whole magical enriching experience and I really hope to be back some day. We have been hosting workawayers for years now and are constantly inspired by the wonderful people that come to stay with us - but Anton and Rebecca who volunteered with us for a month in September - October 20015, were in another league! Anton and Rebecca helped us build a house out of wood and a wooden deck and they also worked on our… read more campsite reception greeting guests and also cleaning, preparing rooms etc. They were such hard workers, creative, committed and always smiling and willing to see how they could help us in anyway at all. They were so sensitive. anticipating our needs and the needs of the people on our campsite. Many of the comments we receievd in our visitors book during the time they were working with us, prasied their kindness and hospitality. Anton and Rebecca are the Dream Team. They are two of the best workawayers we have ever ever had - so if you are reading this and wondering about hosting them, do not hesitate and be thankful that your paths have crossed with these two wonderful people. Thank you Anton and Rebecca with all our hearts for all that you have done to help us. We appreciate you so very much and our family really misses you. We hope that we meet again one day soon and in the meantime we wish you well and lots of joy in your life paths ahead of you. We spent an amazing month with the family and it was a truly unique and inspiring experience! Emma, Rolando, Bell and David were so welcoming and immediately made us feel at home. 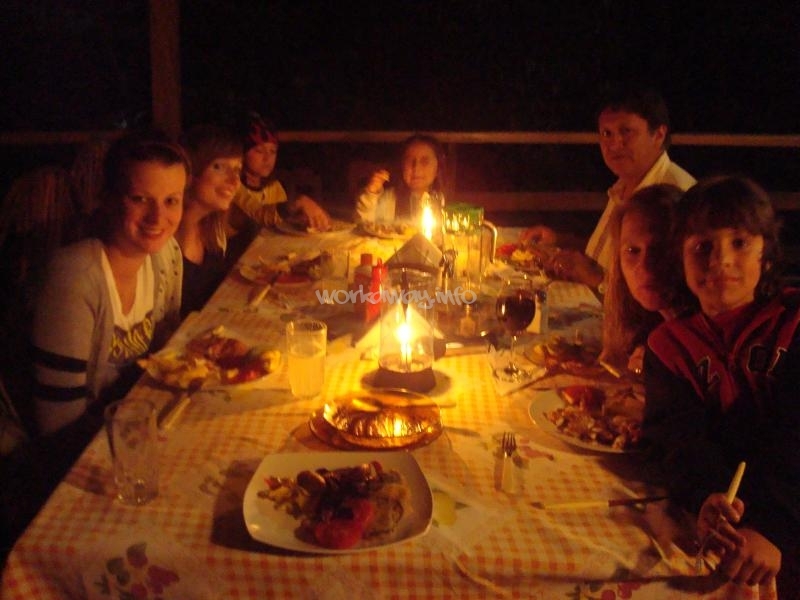 They were great at organising different activities with the volunteers, such as dinners and bon fires. It was like becoming a part of their little family :-) The work… read more was quite varied - we worked with building projects, gardening, cleaning, taking care of guests and helped out with some computer things. We also participated in some of their community projects (the children's centre and football coaching) in our spare time, which was really fun and rewarding! We also had plenty of spare time to explore the surrounding area and go on some really cool hikes. Our month here is the highlight of our South America trip! Antoine is a wonderful volunteer and i cannot recommend him highly enough. He is hard working, charismatic and very easy to have around. He got on very well with all our other volunteers and was a greatly appreciated member of our team and our family. He was always willing and open to help with everything that we ask of him. He taught French to… read more our daughter and was always smiling and happy. We hope that Antoine comes back and stays with us for longer next time. Merci beaucoup Antoine, we will always remember you with mucho cariño, especially the story of the Hummingbird. Je dois dire que cette experience en Bolivie restera un moment marquant de mon voyage. I feel sad that Laura did not get a lot out of her experience with us. We tried our best to include her in our family and make her feel welcome. I think she has a good heart, but she is a very serious person, quite uncommunicative and solitary. I think it was a case of clash of personalities and expectations. Working with us is not an office job,… read more we set our hours at the start of the placement which we keep to. However, there are days when there is less work to do and this means our volunteers can take a rest - but on other days when we have lots of campers we need everyone to pull together. She stayed in our home, we invited her to join in with family meals but she often declined and I felt our natural hospitality was not appreciated. I felt little warmth from her from the first day or understanding about how being a busy family means that not everyday is like the next, or that we were not at her service, especially when Rolando`s father was very sick taking him away from home.There was a lack of proactivity and positive energy compared to our previous workawayers. She did not like our animals, she had no interaction with our daughter, she did not like to help us organise camp fires or cook on the bbq. I am not sure what she liked to do. We wish Laura well and we so appreciate the good work she is doing with mining children in Potosi and her love for this country. She also has a beautiful voice and plays the guitar beautifully. Reading all the wonderful reviews here, my expectations were obviously really high and all the more so as I did a lot of volunteering before. I spent a month working in the campsite and was overall disappointed about my stay for several reasons. First, the shift hours were different from what is written here. I never had 2 days off per week: my… read more shift hours were 3pm till 8pm everyday and one full day in the week end (8am till 8pm). It was however flexible and I could ask once in a while to finish earlier to enjoy going out with the other volunteers. I also could be asked to work in the morning (in addition to the work in the afternoon) to help for serving the breakfast (starting at 7.15). Second, I was expecting a lot of cultural exchange and this is the main reason why I chose to apply for this workaway but it turned out that I was mainly working on my own so I did not share a lot (except at lunch as I was eating with the Bolivian people working there). Third, even if the work was diverse and corresponded to what is described here, the tourists were not so numerous so I had to be proactive to ask for more things to do (gardening or other help) not to be bored. But it was not that easy to communicate as Rolando was not often here. I really wish I could have helped more when there were not so many tourists. What was nice is the accomodation shared with a lot of volunteers. You have your own room (the bed was very unconfortable however) and there is a fully equipped kitchen! The place is lovely and the view amazing. The Bolivian people working there are wonderful: I really loved talking to them and we laughed a lot! And I also had the chance to meet very interesting and friendly tourists. I would not recommend this workaway for experienced travellers/volunteers nor for people having high expectations on cultural exchange. But for people who have other expectations it can be a great place to stay. I am rating it quite low (neutral) but I do believe that the way you like this experience really depends on people expectations. Greg was a wonderful volunteer. He is the ideal workawayer - so keen and open to learn everyday, happy to help and always with a smile as well as being sensitive, intelligent and great company. We loved having him to stay with us and wish he could have stayed for longer. He is a true modern explorer, travelling through South America by bike,… read more collecting experiences, friendships and life long memories on his way. We are inspired by him! Thank you Greg for being wonderful! We miss you! I had an amazing seven week stay with the family and the volunteers in September/October 2014. Two months on I still feel very lucky to have been given the opportunity to help out with a whole load of things at the campsite and to work on two of the brilliant projects. I look back at it as one of the highlights of my travels and I still think… read more about my time there every day. I still talk with some of the other volunteers and have met up some of them back home. I learned a lot about Bolivia and myself during my time there. Thanks once again to Emma, Rolando, David, Bell, Anahi, Daniel and everyone else who made my volunteer stay so memorable. Best of luck with the campsite and other projects guys! Marie is a really lovely person, thoughtful, considerate and a delight to have around. She was so helpful and always willing to help us with any job and willing to learn new skills. She was loved by the other volutneers living with us too and helped contribute to a very harmonious living environment. Marie is obvioulsy very skilled with building… read more and it was a shame we only saw these skills in the last week she was with us or otherwise we could have worked on more projects that she would have enjoyed! I would highly highly recommend Marie to other hosts - she is wonderful! Muchas Gracias Marie. Que vuelvas pronto! Janina and Nils are AMAZING! They ust have been 2 of the hardest working workawayers we have had over the past 4 years! They had endless energy and enthusisam for everything we asked them to do, working their way down a list of taks in 4 weeks that could have taken others 4 months to complete. Nils is very handy with electricity and brought light… read more to our previous dark storage hut and both him adn Janina worked so well, wther in the garden, doing maintenance and welcoming guests - and always with a smile and good humour. My advice to any other hosts would be to welcome them with open arms and thank your lucky stars that your paths have crossed! Thank you Janina and Nils. Les queremos mucho andwe are so appreciative of all that you have done for us. Son maravillosos and lovely lovely people! Come back soon! Ross is now family and we can`t wait to welcome him back later this year. He is a great volunteer, so friendly, always willing to help and to learn new skills. He is really easy to get along with and we loved sharing our Christmas family celebrations with us and relatives visiting from UK. We wouldnt hesitate to recommend Ross to future hosts. You… read more will be lucky to have him! We only wish he could have stayed for longer! Where to start? This must be on of the best workaway oppertunities out there! Emma, Rolando and thier family absolutely rock and I Learnt more about Bolivia from Living With them six weeks than I did in my six traveling around the country by motorcycle. There are other Volunteers Also here from all around the world working on other projects… read more outside of workaway so this is a great place to form a community and meet some like-minded people. Just as I was leaving several Volunteers turned up and I Could tell That I Would Have made some great new friends. Normally I Worked six days per week in the afternoons only but my schedual was Flexible working for days off to visit the surrounding attractions. I did many different jobs and types of work from painting and decorating to helping run the campsite and Maintain it, ie cleaning, checking guests in and out, etc. I liked this aspect of it because i got to hang out with the guests, make campfires and Eat with them: sometimes too! Surely The accommodation is amongst the best on workaway and I had a lovely room to myself and everything from the shower, to the kitchen, to the communal living spaces Were top-notch. Having the mornings off enabled me to practice my Spanish at a school in La Paz and obviously Being a bi-lingal house I had plenty of opportunites to practice it too. So overall Then this would be a fantastic option workaway and obviously I highly recommend it. Again a masssive thank you to Emma, Rolando and the family for welcoming me to Their home, I was really gutted To have left and wish I'd planned to stay longer, and definitley I hope to come back and visit in the future! Estuve en Jupapina en Marzo de 2013. 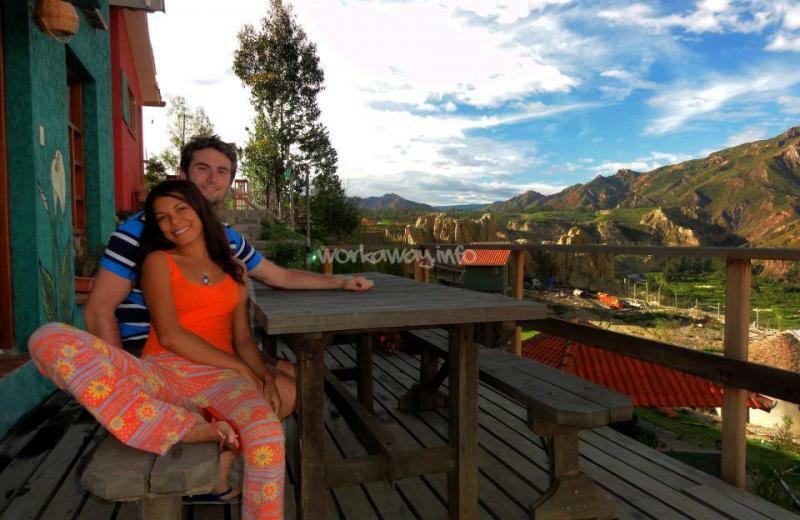 Fue mi primera experiencia como workaway. Ahora después de mucho tiempo viajando y de trabajar como voluntario en otros muchos sitios, sin duda puedo confirmar lo que entonces sospechaba. El trabajo en Jupapina es el mejor voluntariado en el que he estado. Primero por dejar todo bien claro a la hora de lo que… read more supone el intercambio, algo que es de agradecer. Segundo porque el lugar y las instalaciones son increíbles. Tercero la comida que compartiamos todos los días con la familia fue una de las mejores experiencias que viví en Bolivia, exquisita! Y por último y más importante la Familia. A pesar de recibir constantemente voluntarios, la famila Mendoza Donland hacen sentirse a cada uno de ellos como en casa, atendidos y respetados. Tanto Emma como los ñiños son una compañia muy agradable y Rolando, con el que yo trabajaba es una gran persona, gran conocedor y entusiasta. Ahora con la perspectiva que da el tiempo, puedo decir que es una de las mejores personas que he conocido viajando. To be honest, I don't know where to begin to express how much I enjoyed my trip with the family Mandoza. I was a boy who had never made a real trip around the world. I wanted to do this trip to discover and also to emancipate myself but, like any normal person, I was nervous to go alone to a country I didnt know. - And numerous other reasons have made the time I spend with Emma, Rolando, David and Bell a wonderful and unforgettable experience! If you are at home reading this because you are looking to find a nice trip to do, well... do not hesitate! Contact Emma right away, you will not regret it! Gilles stayed with my family for one month. He is a lovely, kind, responsible person and it was a pleasure to have him with us. He is strong and a very hard worker, but above all, he is creative and has lots of wonderful ideas to share. We all loved him, especially my children - he was their hero and a wonderful role model. I would not hesitate to… read more recommend Gilles as a volutneer. We will miss him a lot and wish he could have stayed for longer! We spent a magical four months here and could have easily stayed longer. Waking up to that phenomenal view every morning is just one of a million reasons to go, and stay as long as possible! Emma and Rolando are incredibly warm and welcoming, genuinely treating their volunteers like part of their family, even inviting us to spend Christmas day… read more with them. We loved working with Rolando, in terms of the interesting and varied work involved, the long chats about every subject under the sun, and the chance to practice our Spanish. The campsite project is incredibly exciting and we can't wait to see it develop. The accommodation is fabulous, cosy and homely, and lunches are tasty and hearty (you'll need that after a morning in the garden!). There are lots of other volunteers around, so plenty of chances to be sociable if you want to. We'll certainly be back to visit the family soon! Jeremy and Paula stayed with us for 4 months and we now consider them not only to exceptional, hard working, creative, enthusiastic volunteers but also good friends and part of our family. They were great company and it was wonderful to share Christmas and other family celebrations with them. Jeremy and Paula worked tirelessly on our land… read more alongside Rolando and also developed a marketting strategy for our camp ground drawing on thier journalistic talents. We will all miss them terribly - but we are alreay looking forward to their return to their Bolivian home. Can´t recommend them highly enough! Viia is a very special person and it was lovely to be part of her journey of discovery and adventure. She receives each new day with energy and a smile. She gives generously of her time and her talents and I think all of us who come across her on her journey are left richer by the encounter. She is young and so full of light that it is impossible… read more to be infected by her glow. Thank you Viia and please come back soon! I had a really wonderful but short stay with the family! Unfortunately I couldn´t stay longer than two weeks, and half of that I was sick.. However, I really enjoyed every moment of it! 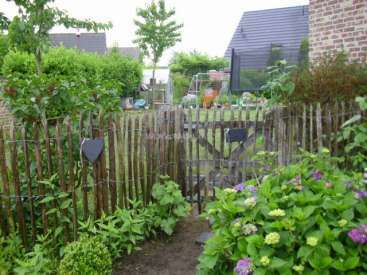 Rolando is very intelligent and hard-working man, and I enjoyed helping him in the garden. I´m not a professional, but it wasn´t so hard after all! Four hours work… read more per day gives you a lot of free time to explore La Paz, and during the weekends you can travel further. The place is just amazingly beautiful, I couldn´t get enough of it! Emma is such a sweet heart with a shining smile on her face, I really loved talking to her! And the kids, Bell and David, are really mature and fun to be around with! Solamente tenía dos semanas para quedarme con esta familia muy buena onda, y me encanto cada momento! Estaba enferma por una semana, entonces no podía hacer mucho, pero disfruté mucho. Rolando es un hombre muy inteligente y trabajadora, me gusto mucho a ayudarle en su jardín. Cuatro horas por día trabajando no es mucho, y hay mucho tiempo para recorrer y conocer La Paz, y en el fin de semana se puede viajar más lejos. Emma es una mujer bien simpatica con una sonrisa gigante en su cara, tuvimos buenas conversaciones! Y los niños, Bell y David, son muy maduros y bien entretenidos. El lugar es super bonito, no puedo explicarlo, siempre me quedé sin palabras! Muchisimas gracias por todo, la familia Mendoza, era una visita bien hermosa! Espero que nos vemos pronto, y que esten muy bien y que disfruten cada día haciendo lo que disfruten! Un beso grande! Judy was a joy to have living with us, always smiling, chatty and full of ideas and creative energy. Her banana ginger cake is the best! She is generous of spirit and very caring as well as a really hard worker. A perfect workawayer volunteer who fitted right into our family and community. Thank you so much Judy for everything! To other potntial… read more hosts we recommend Judy fully and most sincerely. My five weeks in the project were more than excellent. 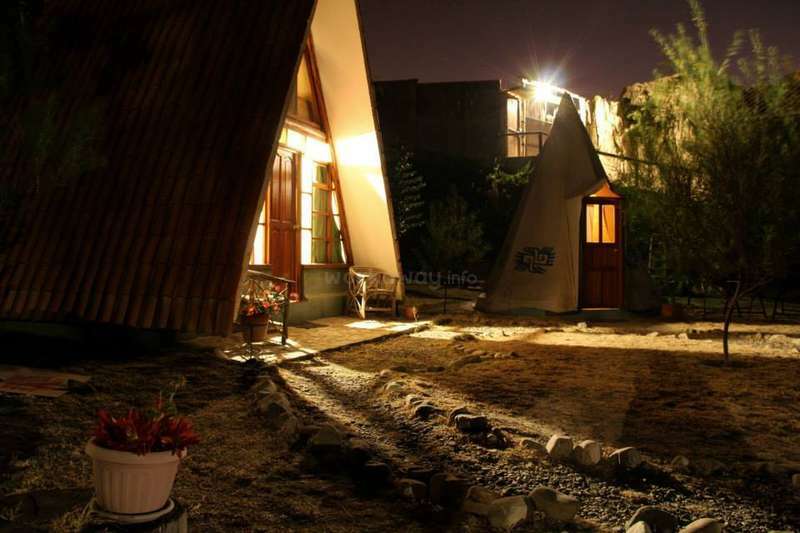 The place is beautifull, realy quite, and just 40 minutes from the center of La Paz. You will have the opportunity to meet lot of people, locals and others volunteers. You will have time for you, for visiting around, learning spanish or for working on other projects. But first of all, you… read more will have the chance to live with an amazing family, it was the best part of my experience. You can speak about everything whith Emma and Rolando, they are always open to new ideas and they are curious about they guests. David and Belle are really nice children, curious, intelligent and funny, you will like they company too. Thanks again for everything, my period with the four of you will stay one of my best « souvenir » abroad. I hope to see you again. All the best and good luck for your futur projects. Thank you Juan Tomas for all that you have shared with us over the past month - you are such a giving person, always willing to help and be proactive with new ideas and tireless energy. It felt like you had been with us longeer than a month as you fitted right into our family and our community. We appreciate especially your work coaching the local… read more kids football team and for your kindness to our own children, who will miss you very much too! We will always remeber you with great warmth, especially when we are drinking our maté de molle! Thank you so much Juan Tomas. We hope you return to your Bolivan home one day soon. For other workaway hosts - we highy highly recommend Juan Tomas and you will be very lucky to have him! Thibault you are so sweet and warm hearted as well as a really hard worker. You give 100% to everything whether it is working on the UCB volunteer projects or helping Rolando and his trees. You have been a very much appreciated member of our small community due to your generosity of spirt and energy. Thank you very much Thibault. We highly… read more recommend Thibault to other hosts! Thank you so much Emma and Rolando for this amazing experience. I've been there as well as a volunteer with UCB and workaway. Such a nice family. I highly recommend this place. The job is intersting, you will practice your spanish while working with Rolando (he speaks english as well), and you will share the lunch with them the day you will… read more work. This is one of my best workawayer experience so far. Alain you have been a star! Thanks for your hard work and always positive energy and ideas. We have loved having you as part of our family and we will miss you very much. To other hosts we would not hesitate to recommend Alain - he has shared so willingly his skills and creativity and made a lasting difference to our projects. my time as a workawayer here has been one the best experiences iv ever had. I have learned so much and met so many inspiring people. Its a very social environment and there was never a boring day. iv worked and made friends with people from all over the world. Being a carpenter and helping out with the construction of the camp site made me have a… read more special purpose and it felt great leaving behind my work. Working from 8-12 gave us the freedom to do whatever we want in and around the beautiful city of la paz, and the lunch is great too. Thank you emma and rolando for giving me the opportunity of an unforgettable experience. Rosies and John are the cutest couple. It has been wonderful to share int heri adventures in Bolivia where, after the motnh they spent living with us, they decided to stay and live for another year working as English teachers! Although they lived in the city, they were regular visitors and continued to share our celebrations and also looked after… read more our house as dog, hen, cat sitters! We trust them completely and they have shown their ongoing commitment to community projects over this past 12 months for which we are so very appreciated. Thank you to you both for sharing your talents, skills and warmth with us. We loved our time here! Emma, Rolando, David, Bell and Karen were incredibly warm and welcoming. It has been rewarding, interesting and most of all great fun to volunteer with the local community and with a group of enthusiastic and like-minded volunteers. We have just been amazed how ideas are made into reality so quickly. This is somewhere that… read more has resources to back up the enthusiasm and the results are amazing. We feel very lucky to be part of it. We've enjoyed our experience so much that we haven't left La Paz yet! Thank you! Ella is simply beautiful. Such amazing positive energy and that laugh! 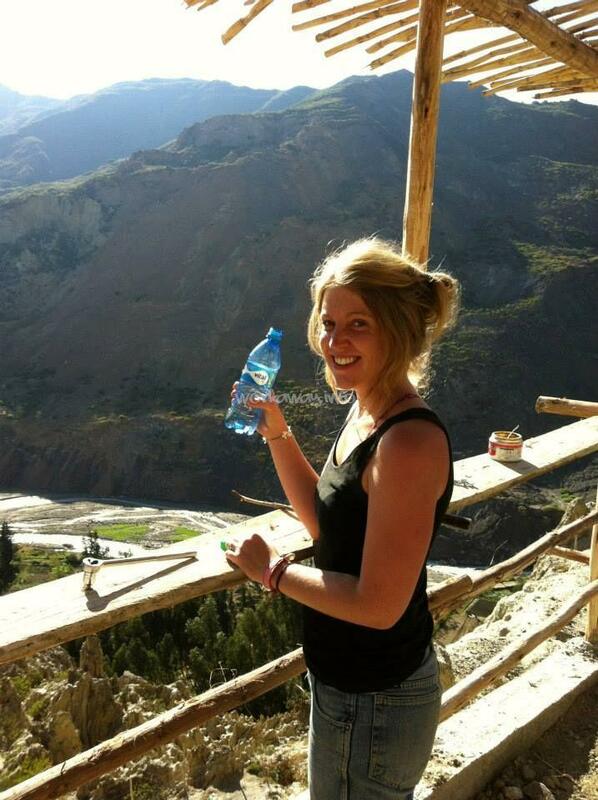 She deighted us with her funny stories and inspired us- Ella stayed with us 3 months and she was always willing to turn her hand to whatever we asked of her and also contributing incredibly to all our community based projects too. Ella we love you. We love your banana bred. We… read more love your light! Please come back! Thank you so much Emma, Rolando, David and Bell! I worked with Rolando and the other volunteers on their beautiful campsite for 3 rewarding months. It was so great to work outside everyday in the Bolivian mountains and on other projects in the local community. The perfect Work Away experience with fantastic food, lovely accommodation and great… read more people. This was my first workaway experience and I couldnt have asked for a better introduction. Rolando, Emma, David and Bell are an incredible family and it didnt take long for me to settle in. The work for me was great. I worked alongside Rolando on the campsite most of the time. He is a man with a lot of knowledge, great ideas and I learned a great… read more deal from assisting him. In the evenings you have plenty of free time to explore the area, head in to the amazing city of La Paz or just hang out at the property. Overall I thoroughly enjoyed my time at the Mendoza household and it was hard to leave. Hopefully I will see ye agian..
James stayed with us for 6 weeks and he was an ideal workawayer. His warm gentle humour, great converstation and willingness to work alongside Rolando and also get involved in community activities / including amateur dramatics! - was very much appreciated. He is a lovely person to be around and was loved by our family and kids. We hope that we… read more will see James again. He will always be very welcome in our family and we wish him well in the future. Any potential host will be lucky to have James. Muchas Gracias James / te esperamos! We loved you from the first moment we met you. Your positive take on everything, wonderful sense of humor, warmth and energy are to be admired. Such a gorgeous family in a beautiful location it was no wonder our month was extended to seven weeks. Even then it was hard to leave! What you do for the community of… read more Mallasa and Jupapina on a daily basis is inspiring and we are thrilled to have been part of it. 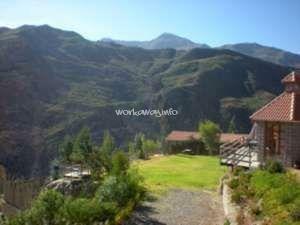 I would not hesitate to recommend the experience you offer through Workaway to all. What special people! Karen and Nick you came to volutneer and have become appreciated, and I hope life long friends. We turned to youboth not only for your technical skills but also for personal advice and support with our projects. Your warmth, honesty and love for life and new adventures is contagious and you were both an amazing asset to our… read more volunteer programme. Thank you for inspiring us and for being part of our family. You will alsways be welcome in our home. Six weeks in Bolivia and I had fallen in love -- with the Mendoza family, the country, and each person I was able to get to know in the local community. The variety of perspectives and backgrounds other volunteers brought to the experience were invaluable and I am confident that this experience has something to teach regardless of one's age or… read more nationality. I found a new home and am counting the days until I might be able to return. Regan is now part of our family. She spent one month with us over this summer and we all fell in love with her energy, creativity, passion for justice and openness. She has so many talents and we feel enriched by her time with us. She was amazing as tutor nanny for our kids with who she had all kinds of adevntures and also committed and giving,… read more teaching English to local children in the evenings. We miss Regan and hope she will come back to spend more time with us, sharing songs and stories from the bonfire under the Andean staf filled sky! What can I say? Workaway keeps sending us these amazing people and Dirk and FC were excellent in every way and imediately became much appreciated members of our family with their gentle humour, enthusiasm and commitment to working alongside Rolando on the camping and yurt site that we are building. They had so many fantastic ideas, especially… read more about ecological construction. We loved having them around and were really sorry to see them go. We will miss their bonfire bbqs in the evenings under the stars and their great company over lunches on the terrace. I cant recommend them highly enough - lovely lovely people. Staying with Emma, Rolando, David and Bell was fantastic. They are a really warm and open family, with heaps of interesting ideas and projects on the go all the time! We got to meet a lot of people through them and really get to know Bolivia a lot better during our 6 weeks there. They took our interests and experience into account and set up work… read more that was really suited to our skills and very enjoyable and rewarding. They all have a lot of energy and their enthusiasm really rubs off on you! Thanks a lot to all of them. We will miss them! Amy and Ryan stayed with us for about 6 weeks in May - June 2012. They were amazing, the brought so much colour and creativity into our lives painting murals in our home and also in our neighbourhood on the wall of the local school with the students. They worked really hard and we are just delighted by the results. They are lovely people,… read more respectful and fun too and they soon became part of our family. We will miss them very much and cannot recommend them highly enough to other potential workaway hosts. Muchas Gracias Amy and Ryan! Working alongside Emma, Rolando, David and Bell and meeting Karen and the other volunteers was a highlight of our South American trip. We learned so much from them and their kind hearts of compassion and stewardship. They care deeply about their land and their community, and we will always think of them with fondness! 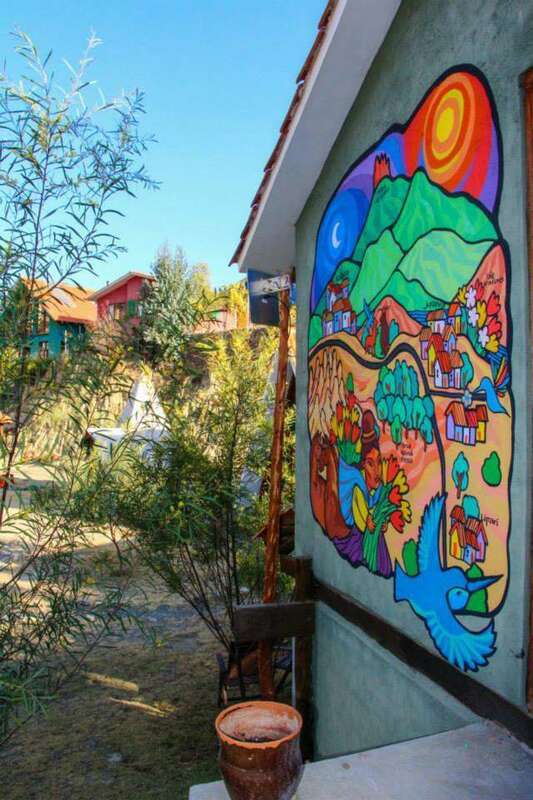 They have a very special… read more piece of property in Bolivia - any volunteer willing to share their work and joy would do well to pay a visit! Sharing our lives with Bethany and Ted was an absolute joy - we wish they could have stayed for longer. We will miss them very much and thier openness and energy for learning constantly from their environments and contributing to life and the people they meet during their travels. A very positive experience and I would highly recommend both of… read more them to future hosts. Thank you Bethany and Ted!!! Lovely family and beautiful place to stay and work for a month, I was very sad to leave. Mostly worked with Rolando and exchanged English and Spanish, I didn't realise untill I left how much I'd learnt! We have really enjoyed having Orion stay with us, he is a gentle soul and a very hard and dedicated worker, always ready willing and able to work alongside us and local workers to build a new vguest house and also to undertake landscaping. He gets along with everyone. We wll miss him and we highly recommend him for other workaway placements in the… read more future. I had a brilliant month staying with the family, very nice family and a beautiful place to stay. Very good place to learn Spanish as the Bolivians speak very correct and clear Spanish. Very good accommodation and food. (La sopa mejor del mundo). Well worth it and a variety of things to do depending what interests you. It was wonderful having Dan to stay with us as part of ur family. He was full of enthusisam and made such a beautiful difference to our garden with his landscaping skills. He was funny, respectful and we will miss him a lot. I highly recommend Dan to other hosts. Helping with animals and in an enviromental project in France.